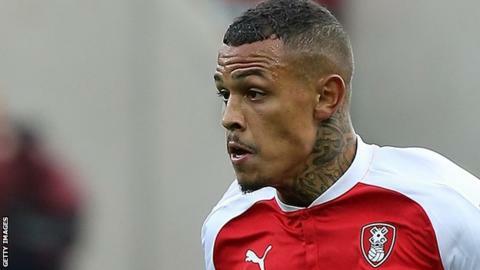 Rotherham United have loaned striker Jonson Clarke-Harris to Coventry City for the remainder of the season, with a view to a permanent move. The 23-year-old began his career with Coventry, graduating from their academy to become the youngest player in City's history at 16 years and 21 days. He has scored a total of 25 goals in 163 career games, with one goal in 19 matches for the Millers this term. "He is a strong, powerful, athletic striker," boss Mark Robins said. Coventry are fifth in League Two, one point off the automatic promotion places with 17 games remaining.